One of my favorite blogs is the Content Strategist. It’s full of interesting, insightful and easy-to-read posts about everything in the content world. And it’s full of stories that bang on the “all brands are media” drum. That should come as no surprised to anyone. 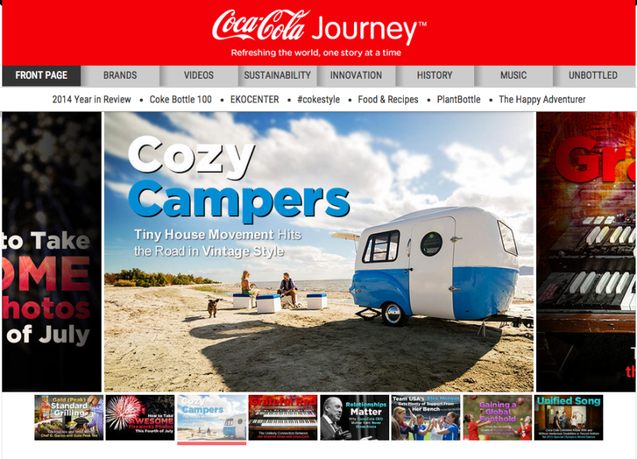 The blog, after all, is written by Contently, a content shop with clients like Coca-Cola and AMEX. And Contently is hardly the only one banging that drum either. In fact, it’s been a steady drum-beat for the last 4-5 years. Say it with me: ALL BRANDS ARE MEDIA. So, why do we continue to perpetuate this blatant lie? Why do we continue to pressure our colleagues into something that is just not going to happen for the majority of brands? Why do we continue to pursue an approach that is 1) a HUGE under-taking and switch for most brands, 2) a huge cost, and 3) does not guarantee success. Sure, there are companies like Red Bull, Coca-Cola and Microsoft that have created engaging and award-winning digital publications full of stories that involve their brands. But, for every Red Bull, there’s a Verizon (you remember Verizon’s failed attempt at brand journalism, right?). For every Microsoft Stories (which is actually pretty good), there’s a Van Winkle’s (Casper’s new entry into brand journalism–10 articles a day about sleep? I’m a bit skeptical). And for every Coke, there’s a slew of companies out there that just don’t have enough to say to sustain an ongoing brand journalism effort. Yet, here are the Contently’s of the world, pushing them into it (go figure–there’s money at stake, after all!). 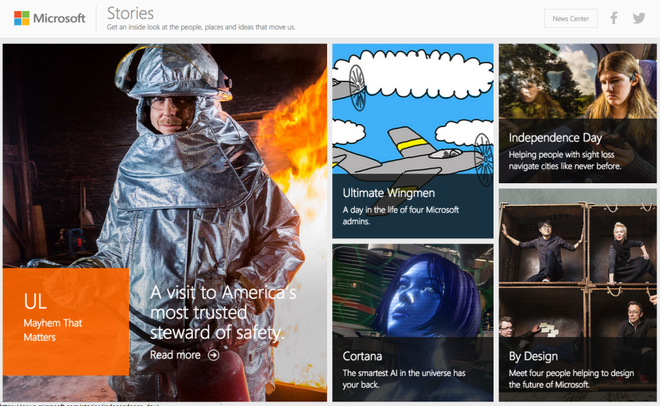 Let’s peek at Microsoft Stories–a site, by the way, that I LOVE. I’ve written about my affection before. But, a “brand journalism” site, nonetheless, that is completely editorially driven. Take a peek at the home page–what do you see? Fantastic editorial content. A well-organized home page. Great visuals. Now, what DON’T you see? Not one ounce of selling. No call to action. No “buy here” (although, in this case, that would be weird). Not even a “subscribe by email” CTA. Nothing. Not a whisper of a sell. So, that tells me this is a 100 percent awareness play. Now, I know big companies like Microsoft sink millions of dollars each year into building awareness. I know that’s a key goal. But, how many companies are set up that way? How many have the luxury of sinking millions of dollars each year into a very expensive endeavor like Microsoft Stories with the goal of simply “building awareness.” Why can’t sites like this sell a little? Why can’t they include a CTA here and there? Why couldn’t they do that? I have yet to hear an answer I find reasonable. Does prohibitive costs make this a Fortune 500-only play? Let’s make a short list of the companies that have employed digital magazines to date. Let’s see: Red Bull. Coke, AMEX. Microsoft. Noticing a trend yet? Is this whole brand journalism trend just relegated to Fortune 500-level companies? It definitely takes a serious commitment. Financial and structural. So maybe the whole “Brand as Media” mantra is really just aimed at 1,000 companies or less? Maybe it’s just for the largest of the large. Maybe it’s just for those looking to boost brand awareness at the highest levels. That rules out a whole lotta companies. A whole lot. In the end, the truth is this: All brands CAN be media. In theory. Sure. But, can all brands really do it? Do they have the stomach for it? Can they execute? Do they have the resources? I’m not so sure. Is There A Difference Between Digital PR And Inbound Marketing?